During the Rana rulers, who placed Nepal under their feudal yoke for about 100 years until the beginning of the 1950s, feared an educated public. The privileged access of members of the higher castes and wealthier economic strata to education was for centuries a distinguishing feature of society. The Ranas kept education the exclusive prerogative of the ruling elite; the rest of the population remained largely illiterate. The Ranas were opposed to any form of public schooling for the people, although they emphasized formal instruction for their own children to prepare them for a place in the government. 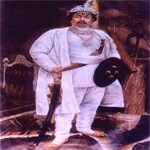 The founder of the Rana regime, Jang Bahadur Kunwar, later known as Jang Bahadur Rana, decided to give his children an English education rather than the traditional religiously oriented training. 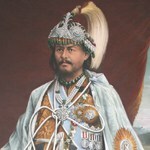 In 1854 Jang Bahadur engaged an English tutor to hold classes for his children in the Rana palace. This act tipped the balance in favor of English education and established its supremacy over the traditional type of Sanskrit-based education. In 1991 English education still carried a higher status and prestige than did traditional education. 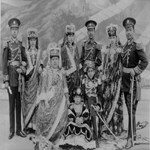 Jang Bahadur’s successor opened these classes to all Rana children and formally organized them into Durbar High School. A brief shift in government education policy came in 1901, when Prime Minister Dev Shamsher Rana took office and called for sweeping education reforms. He proposed a system of universal public primary education, using Nepali as the language of instruction, and opening Durbar High School to children who were not members of the Rana clan. Dev Shamsher’s policies were so unpopular that he was deposed within a few months. His call for reforms did not entirely disappear, however. A few Nepali-language primary schools in the Kathmandu Valley, the Hill Region, and the Tarai remained open, and the practice of admitting a few middle- and low-caste children to Durbar High School continued. Before World War II (1939-45), several new English middle and high schools were founded in Patan, Biratnagar, and elsewhere, and a girls’ high school was opened in Kathmandu. In the villages, public respect for education was increasing, largely as a result of the influence of returning Gurkha soldiers, many of whom had learned to read and write while serving in the British army. Some retired soldiers began giving rudimentary education to children in their villages. Some members of the high-caste, elite families sent their children to Patna University, Banaras Hindu University, or other universities in India for higher academic or technical training. It was in fact, some of these students, having realized how oppressive the policies of Rana rule were, who initiated antiRana movements, provided revolutionary cadres, and finally began the revolution that ultimately led to the overthrow of Rana rule in 1951. Before the 1950-51 revolution, Nepal had 310 primary and middle schools, eleven high schools, two colleges, one normal school, and one special technical school. In the early 1950s, the average literacy rate was 5 percent. Literacy among males was 10 percent and among females less than 1 percent. Only 1 child in 100 attended school. In the past 50 years, there has been wide spread advancement of educational facilities in Nepal. In the 1954 Population Census, national literacy was listed as only 5%; in 2001, it had increased to 48.2%. Over that same span, the number of primary, secondary and upper secondary schools ballooned from 500 to 35 thousands. Despite these vast improvements, there remain a number of social, cultural and structural barriers to education including poverty, caste separation, lack of physical access to schools during the winter and monsoon season. With this particular focus Nepal Mission of HIMET is to overcome the barrier of poverty; we endeavor to help children who dream of going to school covering the full educational costs from enrolment until their secondary school graduation. NOTE: The information regarding Nepal on this page is re-published from The Library of Congress Country Studies and the CIA World book. No claims are made regarding the accuracy of Nepal Education under Rana Rule information contained here.